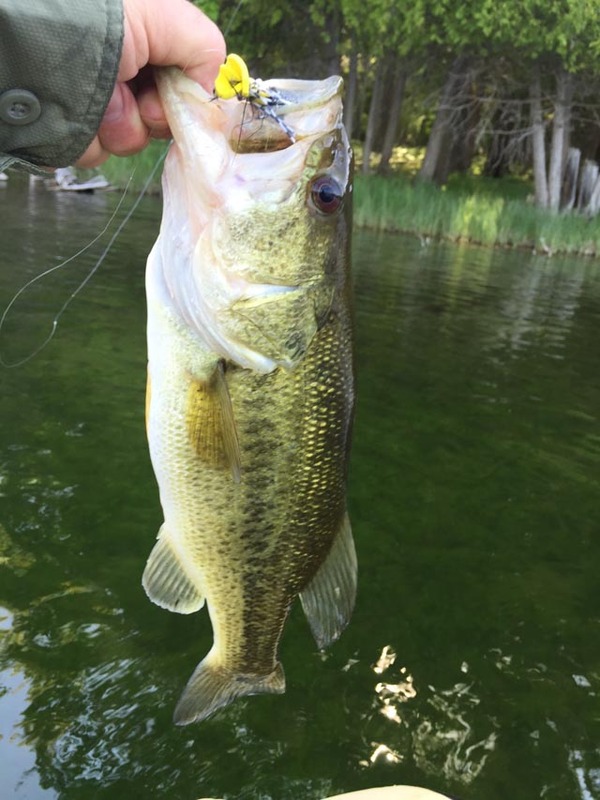 Woke up this morning to a very nice text message from Bob C. Bob was fishing Bass Poppers last night, and he wanted to share his success on the Mrs. Pakman popper pattern. Fishing Bass on topwater, no matter if they are smallmouth or largemouth bass, is personally on of my favorite experiences with a fly rod. The explosive takes and visual experience, that you get when a Bass takes your popper is something every fly angler needs to witness. It truly doesn’t get any better, than Bass on topwater. The Mrs. Pakman was a pattern that we covered in the Big Appetite Smallmouth Bass DVD from a couple years ago. Kevin Feenstra and I collaborated on this Smallmouth Video, to cover all aspects of smallmouth bass fishing. One of the 6 patterns we covered was this simple foam based popper, it is easy to tie and highly effective. Check it out, if you haven’t. The Pattern is covered int he 32 nd minute of the video. Also you can watch the video On Demand here. Thank you for your support. If your not into tying your own top water patterns. But your thinking of buying a few for this summer’s Bass fishing adventure. Two things to consider when buying a popper. First, what is the underbody color. The most important color is what does the bass see. Don’t worry about the colors on top of the popper. Some great choices to start with are yellow, white, and then go dark for an assortment like dark green or black. Second, is the hook gap on a popper. Make sure if your buying a Bass Popper that you buy one with a big hook gap. No less than the width of your thumb. Make sure the Bass Popper can hook the Bass that your targeting. Some of the best Bass Poppers to buy are the Boogle Bug Popper , make sure to check these Poppers out for your Bass fishing needs. They are a little expensive for a fly, but they are truly worth it. Very durable, come in great colors, and are perfect size for smallmouth and largemouth bass.